College Management was Ok not great. Faculty was great at teaching and understanding the student's problem. College in overall was good. 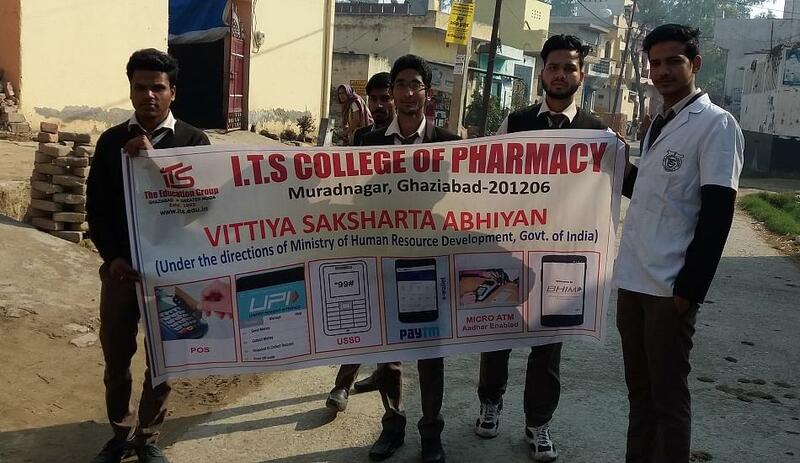 ITS Pharmacy College has established in 2004, to impart high quality education in the field of pharmacy.The institution is approved by AICTE and affiliated to M.T.U Noida /G.B.T.U, Lucknow, B.Pharm course is approved by Pharmacy Council of India. The College (College Code-170) is running B.Pharm & M.Pharm in Pharmaceutics, Pharmacology and Pharm Chem specialization and PhD. 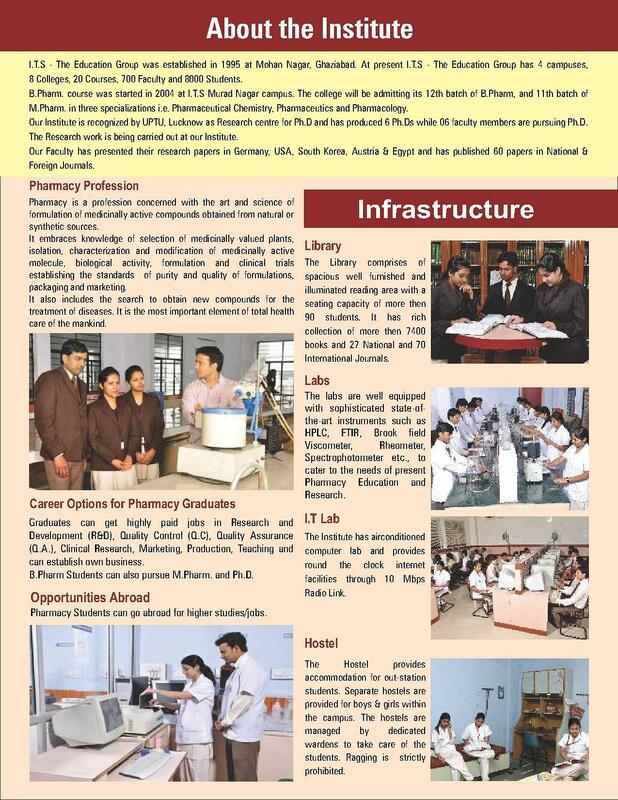 The College provides a stimulating and productive environment for Pharmaceutical education and research. 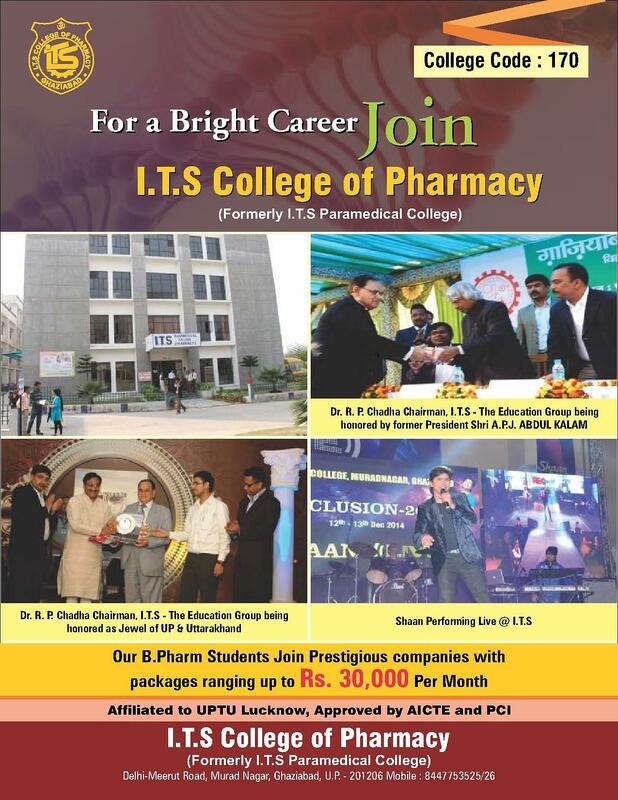 Why to choose ITS Pharmacy College? Demand and Supply: - Pharmacy is a versatile, growing and increasingly diverse profession. Pharmacy is an age old profession. The Indian Pharma industry is in the front rank of science based industries. Indian Pharma industry is the 3rd largest in the world and most advanced. 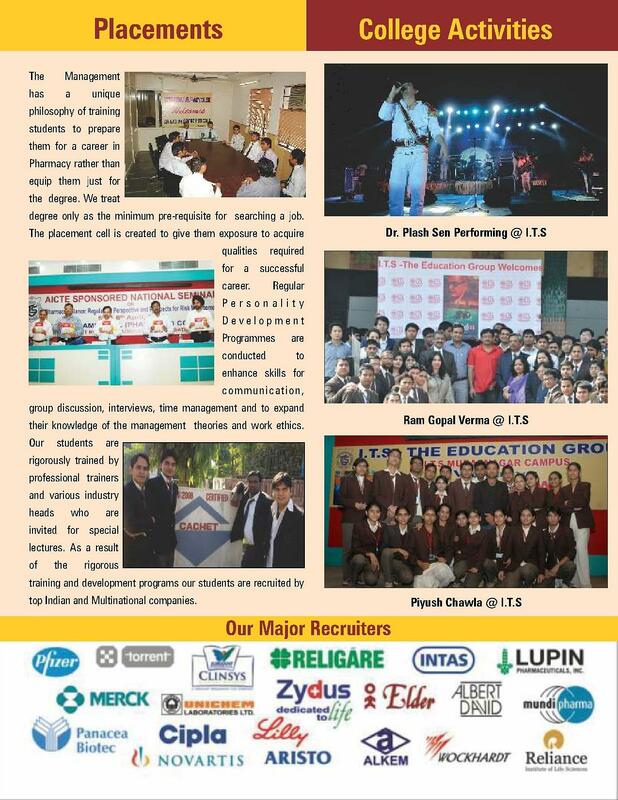 There are more than 2 Lac vacancies in Pharma industry and only 60,000 students pass out every year. Hence, there is a wide gap between demand and supply. 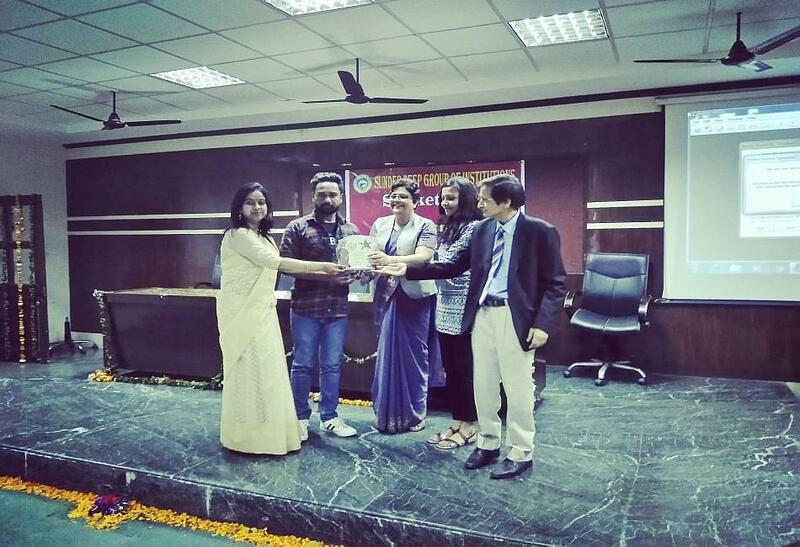 Qualified and Expert Faculty: - The institution having 24 dedicated and expert faculty members building the strength of its knowledge base, providing world class education and environment protection for the society’s future development. 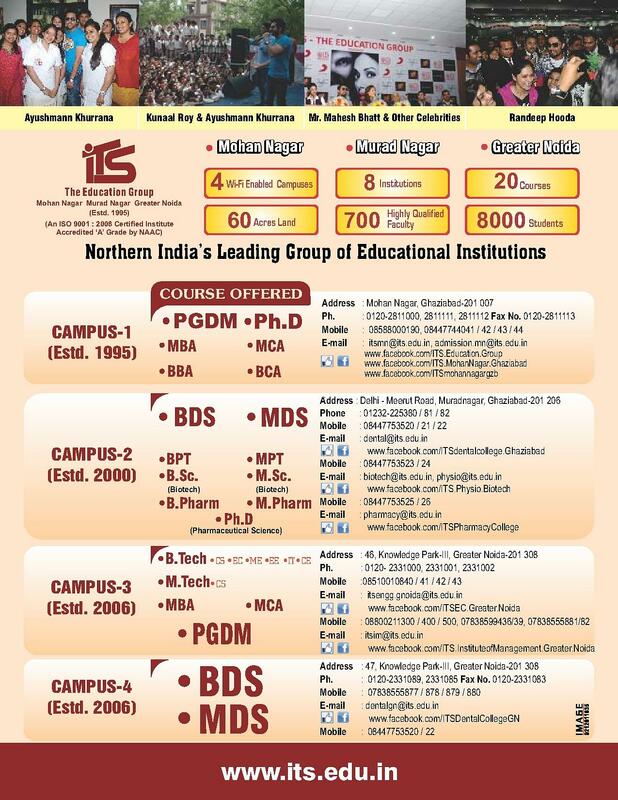 Placements: - The institute has strong industry linkages thus can ensure placements in the final year. Providing the students 100 percent placement assistance.